State-of-the-art engineering now and in the future is the focus of faculty in the College of Engineering and Computer Science (CECS). Our innovative engineering faculty conduct research with the government, industry and other organizations to move the world forward. We believe that engineering research is a core component for training future engineers. 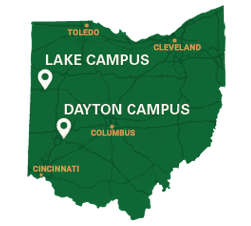 We encourage you to reach out to our faculty and learn more about the exciting things they are working on, and our graduate programs. We take a multidisciplinary and collaborative approach to bridge the boundaries between science, math, engineering, and medicine. The CECS focuses on six areas of research. The college's four departments provide the college with a unique blend of disciplines. Undergraduate Engineering and Computer Science students are encouraged to participate in research. All students in our programs will do a Senior Design Project as part of their curriculum. Other opportunities are available through individual professors within the College of Engineering and Computer Science.